This eerie photo was captured in Savannah, GA. 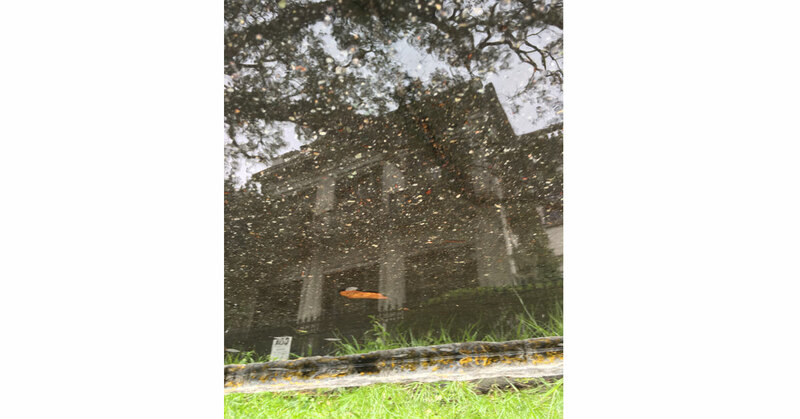 The front of this house, along with the dark textures beneath the puddle, combine to create what appears to be a haunted house. Then when the weathered curb and craggy tree branches are added into the composition, it only heightens the creepiness.